The ONLY app/technology to protect mobile phone users DNA from harmful low-grade electromagnetic radiation devices! N8 Technology is the ONLY app/technology to protect mobile phone users DNA from harmful low-grade electromagnetic radiation devices. While other apps can only inform or warn you of low-grade radiation levels and exposure times, N8’s app protects the body from low-grade electromagnetic radiation at the cellular level. Please note: The graph images above are the results from our comet assay DNA study. The dark bars represent before and the light bars represent after. On the Left UNPROTECTED side you have the comet extent on top left, tail movement on top right, and the tail integrated intensity on the bottom. 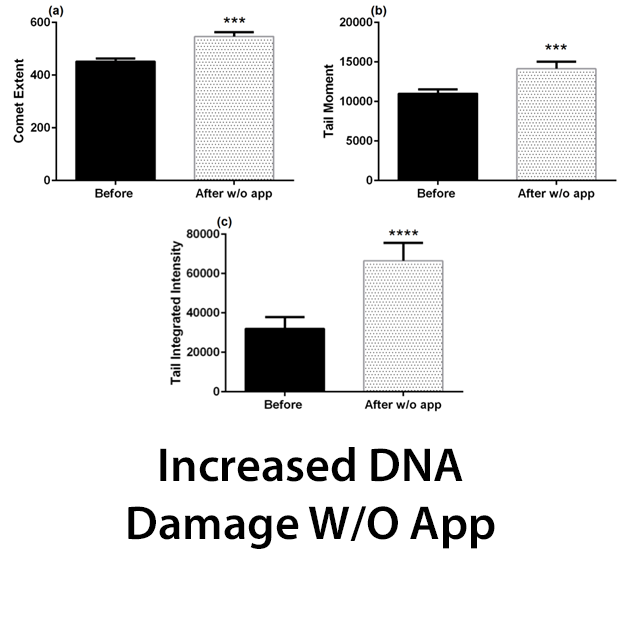 Please notice the increase in DNA damage from the dark baseline to the light w/o app. On the Right PROTECTED side you have the comet extent on top left, tail movement on top right, and the tail integrated intensity on the bottom. 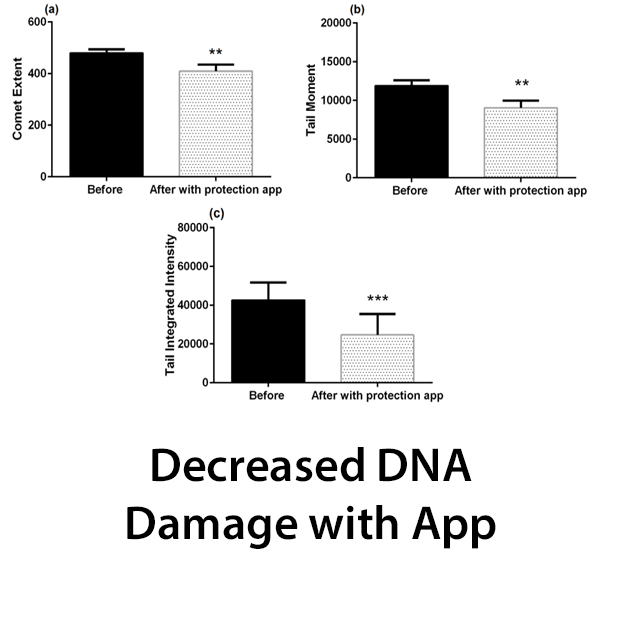 Please notice the protection and decrease in DNA damage from the dark baseline to the light with N8 app on.